Selangor, residing on the west coast of Peninsular Malaysia is one of the most abundant states in the country. It has the largest growing economy with respect to gross domestic product (GDP), the largest population of residents with homes in the area, and with relatively high standards of living, its overall state poverty ranks the lowest in Malaysia. Encircled by Kuala Lumpur and Putrajaya, both prominent federal territories in the country, Selangor is highly-developed, with fast-growing infrastructure that encompasses residential and commercial properties, urbanised highways and advanced transportation systems. It indeed stands as a key portal within the country. Klang Valley notably, which makes up a big part of the state, is a rapidly-growing metropolis. It continues to hold 80 percent of all resources, investments and population in the country. Naturally, it functions as a home to a large number of migrants from many different states in Malaysia, and to foreign workers who predominantly come from Indonesia, India and Nepal. That being said, in planning and constructing its cities, Selangor state appropriately practices caution. It acknowledges the downsides of growth - for instance, its possible contributions to overcrowding and heavy traffic. Hence when Petaling Jaya and Shah Alam, two other townships burdened with increasing traffic and overcrowding, comprehensive traffic controls and living environment have been implemented to counteract growth issues. Shah Alam, Selangor’s capital, is well known to have a good balance between preserving nature whilst ensuring modernisation. Adapted within beautiful landscapes and a lake are residential homes and commercial, retail and entertainment destinations. 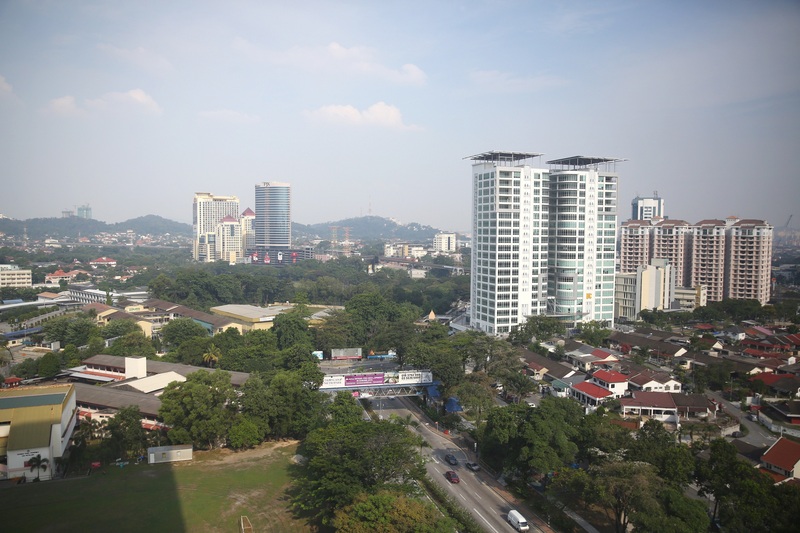 Property developers have noticed the potential of Shah Alam and have started on multiple township developments in the area. There are currently approximately 30 constructions underway at the border of Meru town in Klang till Bukit Jelutong, which will provide a huge number of new homes for incoming residents. Selangor is also widely known as the manufacturing centre of Malaysia. The industrial parks across the state handle work for multinational cooperations (MNCs) and Small to Medium Industries (SMIs). Cyberjaya, the heart of ICT activities in the country, resides in the state and is home to Dell, Motorola, IBM, and HP. Selangor, it goes without saying, glitters with a wide spectrum of attractions. Petaling Jaya, Subang Jaya and Damansara abound with extensive shopping malls and recreational centres. And distinctively, away from these urban centres, picturesque views of rural villages, invigorating coastlines and vast arrays of rice fields’ function as well-kept havens and retreats from the hustle and bustle of the big cities. For those looking to tour the state, the National Zoo, Sunway Lagoon, Batu Caves and the Firefly Park are good places to start. All major parts of Selangor are easy to access. There is a well-established North-South Highway that connects Thailand and Singapore. For less hurried options, the rail systems, i.e. Keretapi Tanah Melayu (KTM), RapidKL LRT and the Monorail, provide good alternatives, especially during peak hours when the highways are crowded. The system runs northwards to Thailand and southwards to Singapore. Taking a taxi is also very convenient, with new services like MyTeksi and Uber coming along steadily.